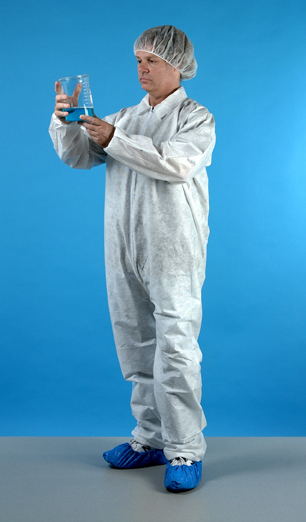 We provide a full line of disposable cleanroom garments and apparel. Browse the categories below to shop our wide selection of disposable aprons, beard covers, boot covers, bouffant caps, coveralls, face masks, lab coats, gloves, gowns, hairnets, hoods, shoe covers, and sleeves. No matter what your cleanroom requirements, NCI has the disposable apparel you need. Contact us if you have any special requests, can't find what you are looking for, or would like help on how to achieve USP 797 compliance.